Bernie Liu doesn’t see himself as a “people manager” for nothing. Thanks to a focus not just on the bottom line but also on the company’s employees, he was able to grow Golden ABC Inc. into a major fashion brands company, with more than 600 stores nationwide, plus 30 overseas, carrying labels such as Penshoppe, Regatta and Tyler. The president and CEO of Golden ABC was able to do all these in part because he had the right people and he made sure the company actually had a distinct culture characterized by a genuine spirituality, which reflects his own values. The company, in fact, organizes regular masses for employees and makes a big deal of company Christmas parties, family days and teambuilding, to name a few—a sign of how Liu values his people. Because of such programs, employee turnover fell to 11.57 percent in 2011 from a high of 43.84 percent in 2007. Liu, who sees himself as a “people manager,” partly credits the company’s success to its ability to retain the kind of culture and values in Golden ABC, no matter how big the company has gotten. “Whether we are a 500- or a 5,000-store chain, I want to retain the same culture and values that propelled us from the very beginning,” he notes in their company profile. Lighting the flame of a company culture is a necessary step in any entrepreneurial venture. But keeping that flame lit as the company grows from, say, a handful of employees to dozens, hundreds or more, is an essential daily exercise that extends from the executive suite to the mailroom and, when necessary, to offices across the country or around the globe. Golden ABC’s version of “fun and productive” took the form of a program dubbed After 6, which is key to the company’s human resources development efforts. The program houses activities which cover employees’ skills-building and personal development, including store-duty sessions, teambuilding, family days and even movie showings. The activities allow healthy interaction among employees from different divisions, and foster company spirit. Participation is voluntary and yet attendance is high. In 2011, employees with a few years’ tenure, no matter their rank, were rewarded when the company flew 500 of them to Cebu to celebrate the company’s 25th anniversary. All 500 were even billeted at the Mactan Shangri-La Cebu for three days and two nights. 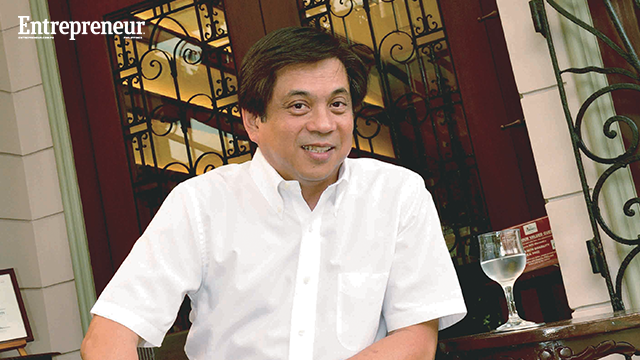 Ramon Ricardo V. Gutierrez, president and CEO of the 1771 Group of Restaurants, also believes in hiring people who are the right fit for the company. “We have to be conscious about getting the right fit all the time because one bad hire can influence the batch. Since we do make mistakes, as soon as we realize that there’s a poor fit, we either look for a position for that person and if it’s a character issue, we have to say goodbye in a dignified manner,” he says. This article originally appeared in the April 2014 issue of Entrepreneur Philippines magazine. Minor edits have been done by Entrepreneur.com.ph.